Controversial dancehall artiste Charles Nii Armah popularly know as Shatta Wale has defended his recent freestyle on BBC. The "Ayoo" hit maker in an interview with Arnold Mensah Elavanyo on Zylofon fm Showbiz Agenda, concerning his awkward freestyle made it clear that, he was given a "hip hop" beat so Ghanaians should understand him. 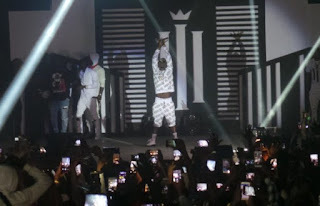 According to him, the beat was playing in his headset so he knew what he was doing, and that he is not bothered about what people are saying adding that he didn't embarrassed himself on the worldwide platform as it has been staged by some session of the media. The Zylofon Signee was in the UK over the weekend to stage a show as part of his "REIGN ALBUM TOUR". 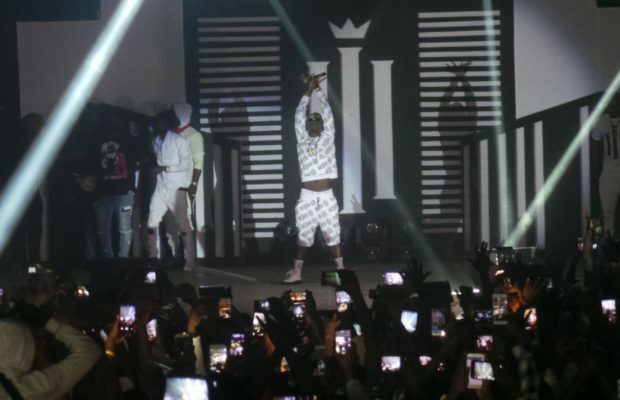 On Friday, Shatta Wale had a total sold-out concert as his London Fans filled the Indigo at the O2. The SM boss thrilled the fans to amazing performance with back-to-back hits together with the SM Militants. Until then, his concert was the trending topic before the game video of his freestyle on the BBC Radio popped up on social media.